Gaumukh is the origin place of one of the sacred river of India i.e. Ganga. The place is situated between the serene beauty of Inner Himalaya in the state of Uttarakhand. Its a very pleasant trek, snow covered mountain will follow you all along and the beauty you will come across is beyond words. Gaumukh is situated in the Uttarkashi district of Uttarakhand state of India. It is 18 km. ahead of main temple of Ganga in Gangotri, so most of the pilgrims go to the Gangotri but few daring one complete their journey to Gaumukh. Journey starts from Dehradun the capital city of Uttarakhand. 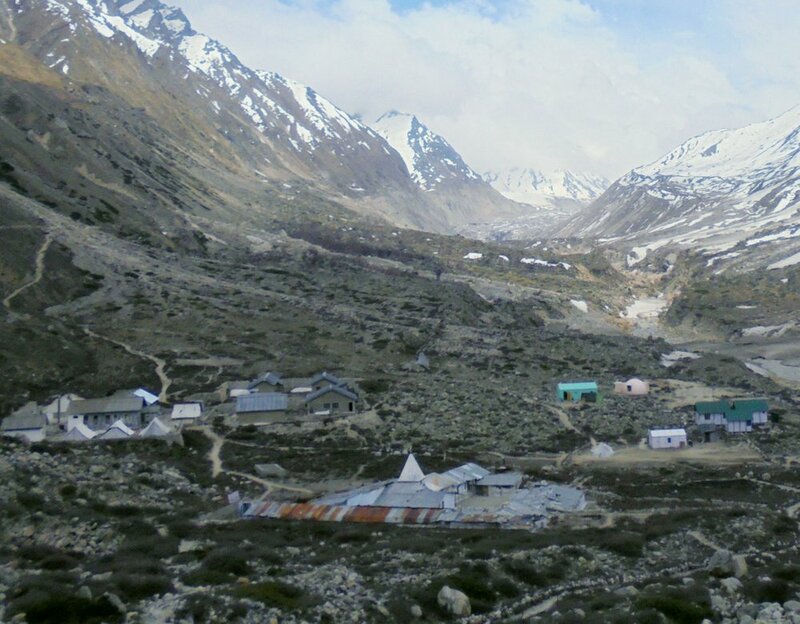 You have to depart early in the morning if you want to complete the journey to Gangotri in one day. You can either go through jeep or the state government bus service to Uttarkashi. Gangotri is again 100 km from Uttarakashi, usually you could find jeep to Gangotri till 3 PM. After reaching Gangotri arrange for a hotel or you can also accommodate in ashram. Start your trek in morning, the best time is 8 AM, if you want to stay at Bhojwasa. Gaumukh is 5 km from Bhojwasa, there you can either stay at Lal baba Ashram paying 300 rupees for a day including food or you can stay in GMVN guest house which is much costly. If you want to complete your journey in one day you have to move early in the morning. You can hike further to the Tapovan, which is 4-5 km from Gaumukh, but there you will need Guide which is costly. After Bhojwasa you may feel difficulty in breathing, for this you can keep naphthalene balls, and smell them whenever you feel unease. Don't be out late at night, Gaumukh comes in the boundaries of Gangotri National Park which is home to snow leopard, so beware of the wildlife. As a responsible traveller don't litter here and there, any plastic things you are carrying, keep them in your bag and bring them back with you. Enjoy the trek, it is one of the very beautiful route and of course home to the mighty Ganga.